We are learning "five little monkeys song" We have the monkeys finger puppets to perform de song. 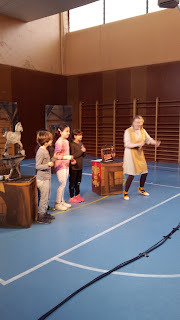 If you want to practice at home here you have the video. 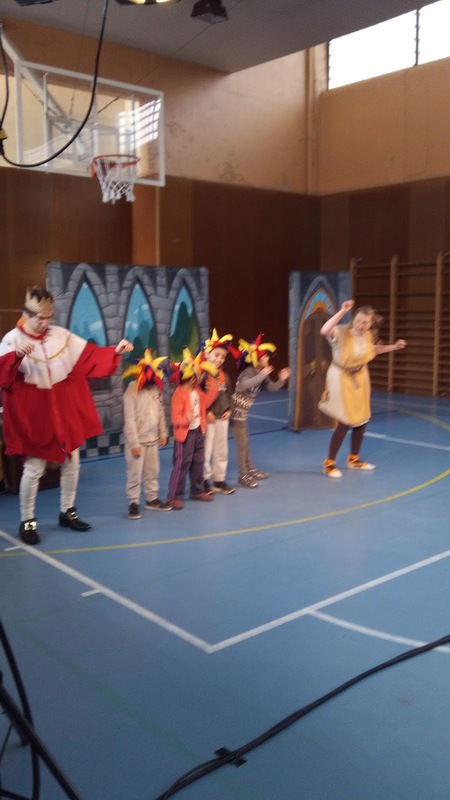 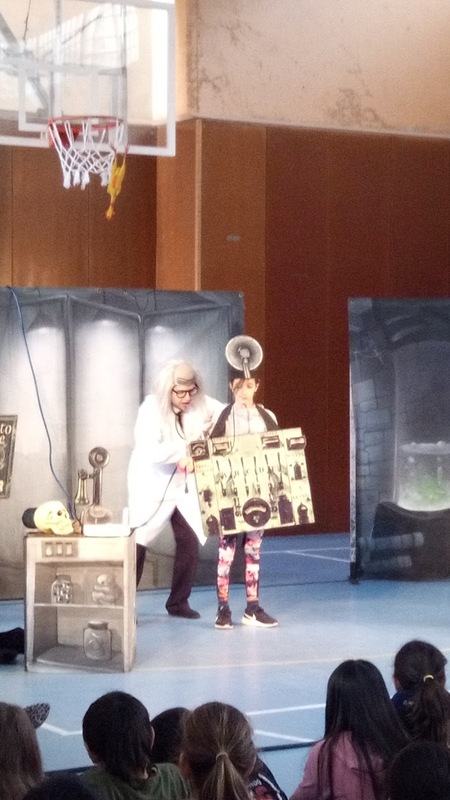 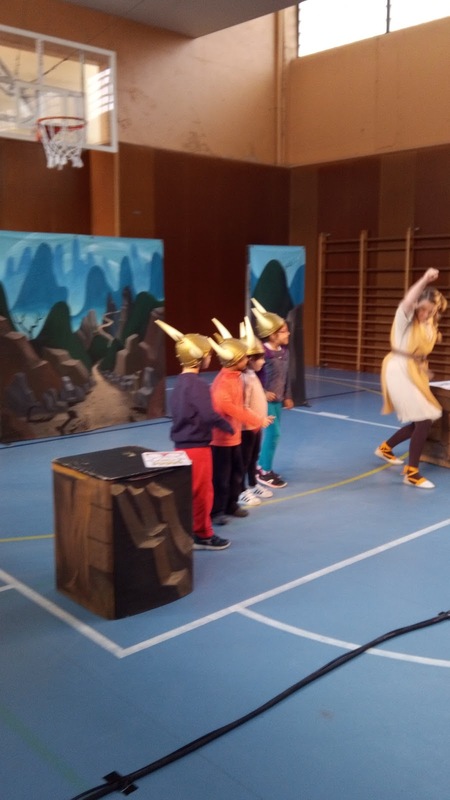 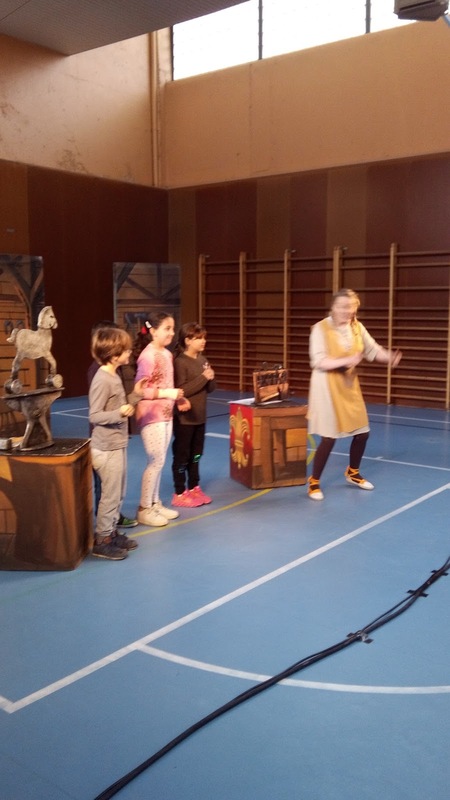 Last thursday IPA company came to school to perform: FRANKESTEIN and GEAORGINA AND THE DRAGON, we had fun! 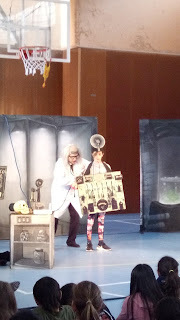 A super simple song for learning parts of the body. Great for Halloween, or anytime of the year! 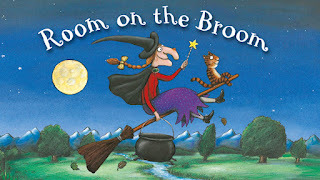 This week 1st grade class are working on this book: "Room on the broom"
We start the class singing this two songs!